With a combined population approaching 60,000, the twin cities of Auburn and Lewiston boast a dynamic arts and cultural scene and proximity to breathtaking natural beauty. Packed with cultural events, tourist activities, outdoors adventures, and exciting attractions. Central location with easy access to the entire state. 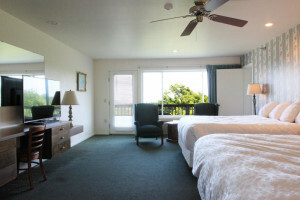 Plenty of lodging and dining options. Auburn-Lewiston is located along the Androscoggin River in south central Maine, 40 miles from Portland, 150 miles from Bar Harbor, and 140 miles from Boston. 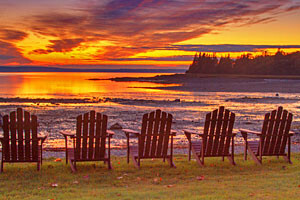 It’s within easy reach of Maine’s western lakes and mountains. Lewiston-Auburn has dozens of places to stay right in the two cities, from quaint cabins to nationwide motels. Over 80 restaurants offer fine dining, international cuisine, family fare, and fast food. Visitor services make sure vacationers find what they need. 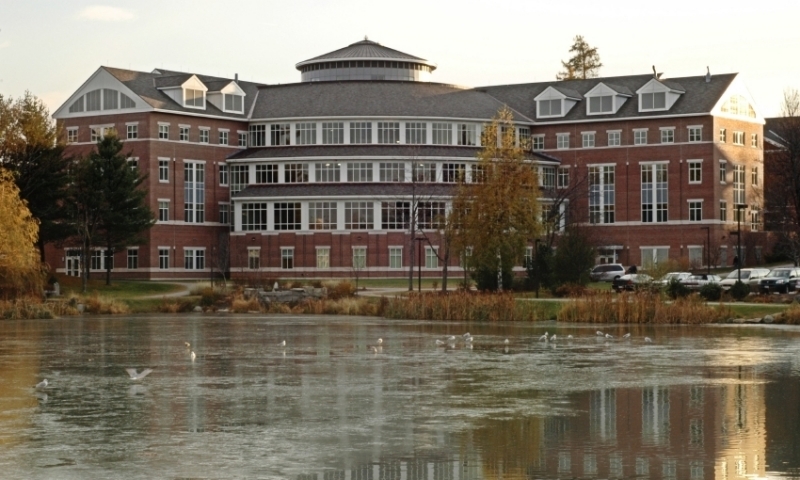 An urban center in a rural setting, Lewiston-Auburn offers visitors both outstanding nature and culture. A celebrated arts community features the Maine Music Society, Franco-American Heritage events, live theatres, and dynamic musical experiences. The two cities and the surrounding countryside provide ample opportunities for walking, biking, sightseeing, and boating. 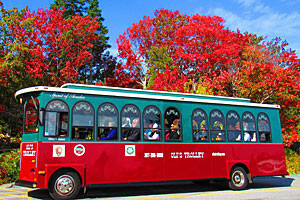 Unique attractions of Lewiston-Auburn include: Thorncrag Nature Sanctuary, Mount Apatite quarry, Bates College Museum, Knight House Museum, and many seasonal, ethnic, and music festivals. The shortest route from Lewiston-Auburn to Bar Harbor is via I-95 N to Exit 182A in Bangor, then east on I-395 E until it ends at US-1 E toward Ellsworth. 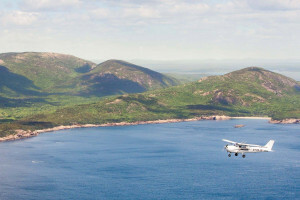 The route leaves US-1 at Ellsworth and picks up ME-3 E, which goes to Trenton, crosses over the spectacular Mount Desert Narrows to Mount Desert Island, and continues on to Bar Harbor. The scenic route follows I-95 N to exit 113 and merges onto ME-3 E toward Augusta/Belfast. ME-3 E goes through rolling countryside to Belfast, where it merges with US-1 N and follows the coast. ME-3 E/US-1 N crosses over the dramatic new Penobscot Narrows Bridge before Bucksport and goes on to Ellsworth. At Ellsworth ME-3 E and US-1 N diverge. ME-3 E goes to Trenton, where it crosses over the spectacular Mount Desert Narrows to Mount Desert Island and continues on to Bar Harbor.